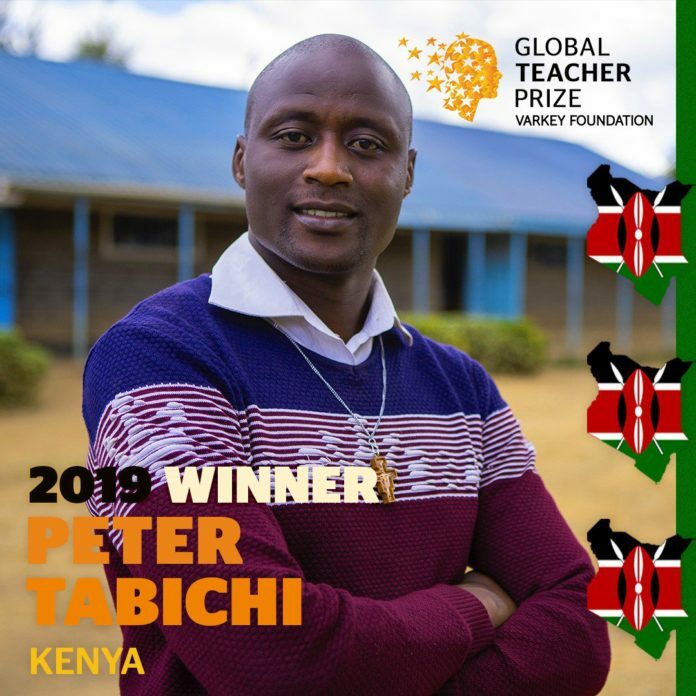 Peter Tabichi, the Kenyan science teacher who won the US$1 million Varkey Foundation Global Teacher Prize 2019 has been appointed as the first “Champion for Children in Conflicts and Crisis” for Education Cannot Wait, the global fund for education in crisis, in a move welcomed by the Varkey Foundation. Peter Tabichi will champion the cause of the 75 million children whose education is disrupted by conflicts and natural disasters. Travelling to the world’s most crisis-affected children and with planned engagements at the 2019 United Nations General Assembly and other high-level events, it is hoped his inspiring story and powerful voice will help raise the urgency on the world stage to invest in the future of children in crisis. He will join actors Will Smith and Rachel Brosnahan who are advocates for Education Cannot Wait’s cause. Former UK Prime Minister Gordon Brown, the UN Special Envoy for Global Education and Chair of Education Cannot Wait’s High-Level Steering Group, has described Peter Tabichi as an inspiration to all involved in teaching and learning, and said he is looking forward to working with him. “The students I teach see true hardships every day, from poverty to drought and hunger. But I also see in them raw talent and great creativity, hard work, a determination to defy the odds, and be the best they can be. Every child, everywhere in the world deserves the chance to fulfil their full potential. In March, Peter Tabichi, a Maths and Physics teacher at Keriko Secondary School, Pwani Village, Nakuru, Kenya, was named as the winner of the Varkey Foundation Global Teacher Prize 2019, awarded under the patronage of His Highness Sheikh Mohammed Bin Rashid Al Maktoum, the Vice President and Prime Minister of the United Arab Emirates and Ruler of Dubai. At a glittering award ceremony at Atlantis, The Palm, Dubai, his triumph announced by actor, singer, and producer Hugh Jackman.